In “Islam Without Extremes” (Islam Tanpa Keekstreman), Mustafa Akyol takes up the challenge to confront some of the confusing and misleading portrayals of Islam propagated by the media and radical Muslims as inherently exclusive and violent. He revisited back the history of the Muslim societies since the time of the Prophet and the development of political Islam to clear these misunderstandings, and at the same time offered his own vision and arguments for a modern and liberal interpretation of Political Islam. Akyol writes that “The idea of freedom—in the theological, political, or economic sense—was not unknown in classical Islamdom, as some have claimed,” but its influences, due to many factors – politics, economics, historical – gradually being superseded by conservative discourses. 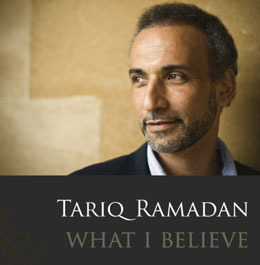 In the book he traces the turning point that began during the clash of two most important theological camps in Islam; The Rationalist versus The Literalist, which ends with of the latter group flourished as the mainstream worldview in the Islamic discourses for centuries and lead to dictatorial culture in the Muslim world. This book is Akyol’s comprehensive reflection, drawn from the Qur’an, Hadith and his own experiences growing up in Turkey in providing a liberal and progressive voice that is very much needed in the Muslim world today.